In this post, I’ll be sharing with you my overall experience with Whole30, my takeaways, tips, Singapore edition of compliant produce list, and discount codes to help you with your purchase. A fair warning though, this post is going to be lengthy. That’s me, day 1 and day 30 with no exercise within the 30 days. I wanted to control for the program. Day 1 pictures taken before food. And Day 30 was taken after lunch. My tummy flatten significantly, and the bloating is gone. No more hives, migraines, bloating, excessive gas in the tummy, reduced anxiety, better skin, stronger nails, and no more insomnia. YAY! At day 31: the husband went from 78kg to 71.5kg, he lost 6.5kg and reported that his body no longer ‘crashes’ like it used to, and he is less anxious in general. I went from 55.8kg, which is my heaviest non-pregnancy weight to 52.5kg and still maintaining (9 days post day 30). I wasn’t overweight to begin with, so without the exercise this is not bad at all! 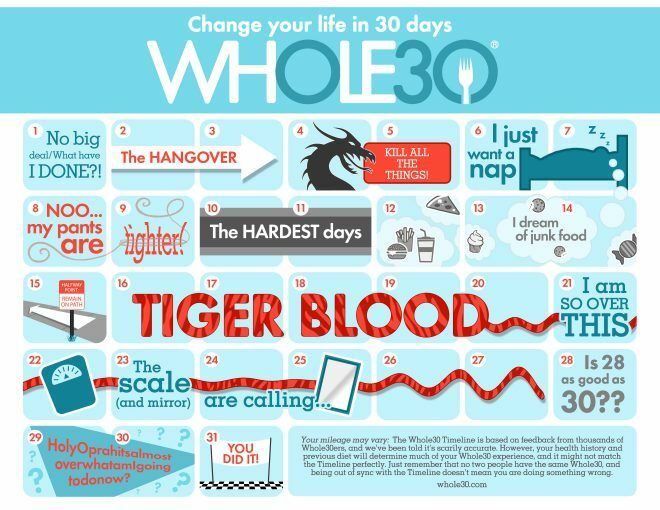 What is Whole30? 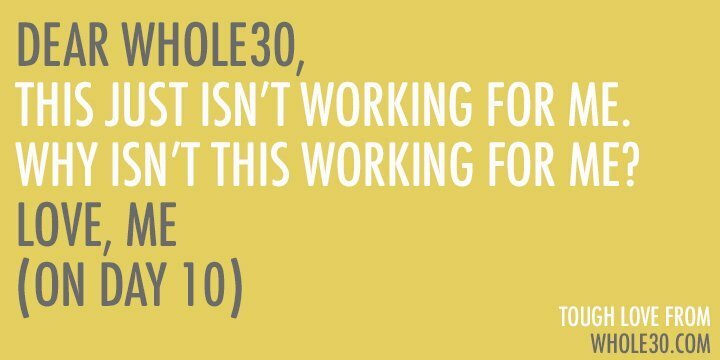 “The Whole30 is a 30-day diet that emphasizes whole foods and during which participants eliminate sugar, alcohol, grains, legumes, soy, and dairy from their diets.” ~ Wikipedia. To me, it’s an elimination diet, eliminating food group that cause problems to our guts due to food intolerance. It’s also good to note that this program was not designed to be a weight loss program. However, the majority of people lost weight because they were eating better. I jumped on the bandwagon mainly because I was sick of my daily hives that started about 2 years ago, terrible sinusitis in the morning that lasts till almost noon. And this is after multiple surgeries, and tens of thousands of dollars to treat the condition. I’ve also been to skin doctors for help with my hives, but all they can do is to load me on anti-histamines. I got sick of feeling like crap, tearing my skin out, and felt really guilty that i’m destroying so many trees with the amount of tissues I use with my sinusitis. I wouldn’t deny that the large percentage of people losing weight, was a motivating factor too. However, I wasn’t over weight to begin with, and with my hypothyroidism, I was not extremely hopeful of the weight loss. At this point, you’d probably be asking yourself, with that much food eliminated, what the *bleep* can I eat then?! Well, there’s quite a lot on the compliant list. Fresh and dried herbs are compliant and I’d encourage you to use it in your cooking. As you can see, the list has a good amount of food. With some creativity, planning, researching, and a lot of perseverance, comes some really delicious food. I realised after talking to a good amount of people, there is a misconception that being on Whole30 means only salads, boiled chicken, or steamed fish. That is not the case at all! We ate well, not tasteless meals. Sure, there were days that we had salad, but that was not often. These were only some of the meals we had. You’ll be able to find some of the recipes here. I’ll continue uploading more along the way. Here’s another collage of our dinner. What you are seeing here are mainly our dinners. I have no time to take pictures of our breakfast, as mornings are a mad rush. But we do have a full breakfast. There are people who have been asking me a lot of questions about the program. Like how much fat to use? Aren’t nuts high in calories? What cut to buy, lean or fatty? Organic or not? Grass-fed or not? Ground or mince ourselves? I highly suggest you check the website Whole30.com or buy the book and use it as your food bible. All the information you need are in there. So do your due diligent like all of us who have gone through the program, if you are serious about it. Please understand that I’m only sharing with you my personal experience, and would help you if I can. However, I have a family to take care of, kids to raise, and I run a business too. So I can’t act as your personal consultant or concierge, and I’m definitely not a whole30 expert in any sense. Whole30 forum is the best source to get help and answers. What I can do for you, is to share with you where I usually get my produce. I like NTUC finest and cold storage because there’s a good selection of organic produce. Ryan Grocery is another one stop shop, especially good for stocking up grain fed meat, bacon, and fresh sausages that are compliant. Use the discount codes to save some bucks! Going on this program isn’t cheap. My grocery bills was 3 times higher, but I was eating better and cleaner. A price well worth it. I know what you are thinking. Bacon and sausages are whole food?! Quite honestly, if you don’t agree to that then don’t include it in your diet. It all boils down to choice. It really depends on how the food was made. Whole food can have different meaning to many people. In most cases, very little processing was done. Sausages can be made with fresh ground meat marinated in fresh and dried spices then stuffed in natural casing without preservatives. For me in this instance, I’m following the compliant additives list. So again, it’s a personal choice whether or not you want to allow compliant additives or cut them out totally. I also find it extremely easy to make my own sausage meat by adding spices to the ground meat I get from Ryan’s Grocery. That way I can make up a batch to my taste, and it’s actually cheaper too. I found this chart helped me keep my sanity during the program because it gives me an idea what I can expect my body to feel. Especially for the first 2 weeks, there’s a lot of adjustments physically and mentally. I needed to be more mindful of my mood, especially around the kids. Neither the husband or I had tiger blood, although we both felt better about ourselves, lighter, and more alert. 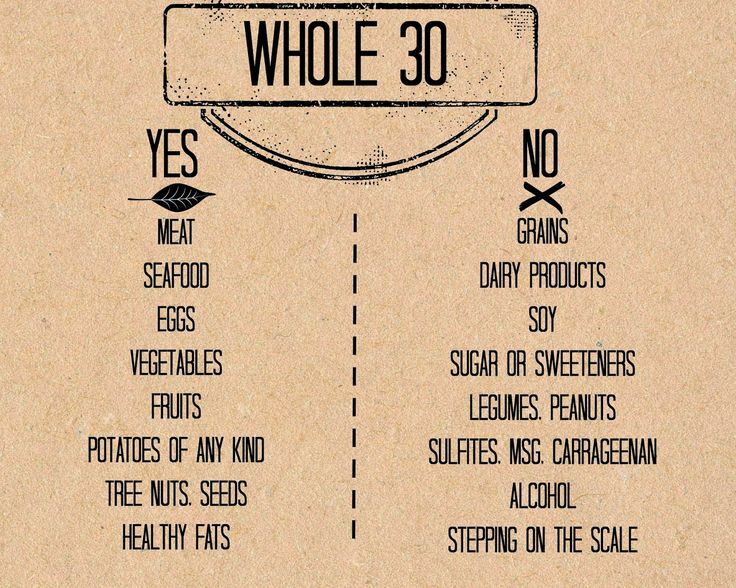 So here are some tips if you are thinking of taking on the Whole30 challenge too. Read the book! Borrow it from the national library if you do not wanna buy it. I did that. Understand what is the main reason you are embarking on this journey. Grab yourself a partner, having that support will be helpful. 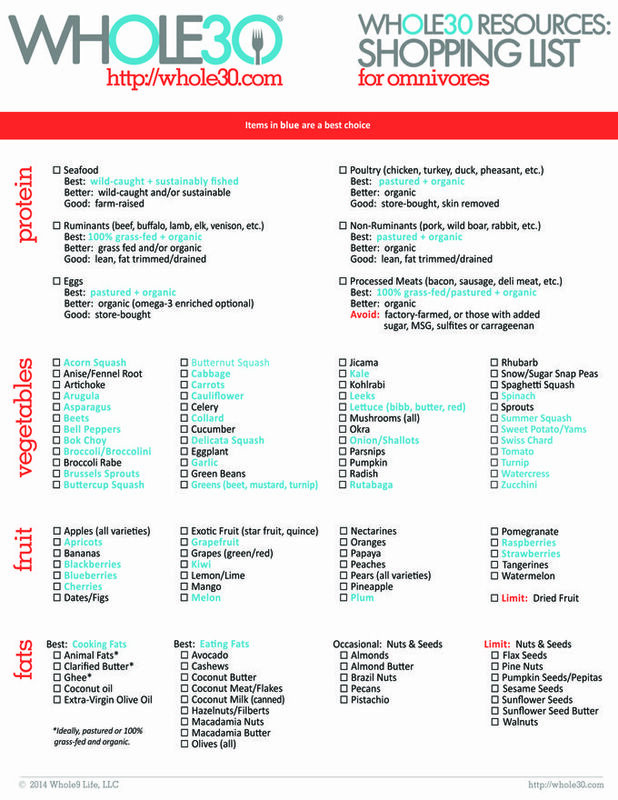 Plan, plan, plan your meals weekly. You can’t just wing it, at least not most of the time. Plus you might have to travel to different places to get your produce, and delivery takes a couple of days too. Make more for dinner, and pack that for lunch the next day. Research and bookmark recipes you like. This will make your planning easier. Have a ‘staple’ recipe always on standby for plan B. On days where the produce you need for your meals are out of stock or you just want something super simple. This is a recipe that is quick, simple and would only require ingredients that you normally have at home. Tell your friends and family what you are doing. Most of them will understand, and can be accommodating to your diet. You can still socialise! I went out on date nights with the husband, and had girls night out. You just need to speak to the waiter to ask about the ingredients in the meals. Nandos’ chicken is a safe place to go. I also went to a Mediterranean restaurant that served salt baked fish, steam vegetables, and hand cut potatoes. Meet friends for coffee/tea instead. Have a pot luck, and bring complaint food. Eat organic, when possible. Here’s a good list to follow, also known as the “Dirty Dozen”. Ease yourself into it. Do a trial week or 2 where you eat whole30 meals for 3 days that week. You know, kind of like warming up or training. Do not bother about those who are not onboard with you and/or question your decision. It’s your choice, your body, your rewards. 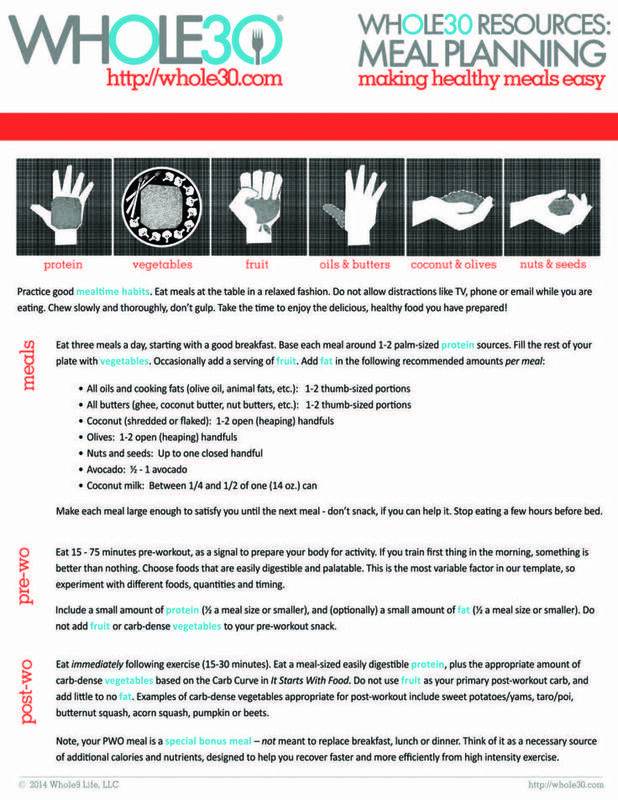 You can use this meal planning template to help you plan your meals. Here are some weekly meal plans that I’ve shared in my older posts. Besides a list of tips to get you going on the program. I’m also going to share a list of why you should not go on the program. Cannot be bothered to read the book/website and want someone else to spell it out for you. keep finding excuses reasons why you can’t cook for yourself. can’t cook at all and will never cook because it will mess up your kitchen. keep justifying how it is unrealistic given your lifestyle. Eg. Having to wake up at ungodly hour to make breakfast. Firstly, scrambled eggs, bacon, and a cut up avocado is not tough. I wake up at 6am, make full breakfast, eat with the family, and get the girls ready and out the door before 7.15am to catch the bus. I prep what I need the night before, and also make lunch for myself and the husband to bring to work as well. can never give up this food and that food or you will DIE. Unless it is a medical condition. If not, don’t give me that BS. Thanks. find yourself nitpicking at the program, rules, food list, additive list etc. If you have any of the points listed above, then don’t go on this journey. Your chances of succeeding will not be high. An you’d probably hate yourself for the ‘torture’. I was once like that when a Chef friend told me about her elimination diet experience. I gave excuses 1, 4, 5 in my first response. I wasn’t ready to do it. There’s nothing wrong with choices. Will I recommend this program to everyone? No, not really. As it does involve commitment, and not everyone is ready for this or believe in such a program. But in general, yes. Only because I reaped the benefits of this program. Although my bad cholesterol did not go down in number, my good cholesterol doubled in value, and my triglycerides was reduced by almost half from 98 to 54. All these putting my cholesterol ratio at ideal level which was not the case before. Whole30 was not a walk in the park. There were days where we question ourselves. Why were we even doing this? Why am I cooking 3-6 meals a day (6 when my kids eats differently from us)? My husband said this once (then a couple more times), “We are good people, we deserve FOOD (meaning carbs, sugar, and his favourite chocolate) right?!”. Sometimes, I go to my pantry and find myself talking to my tin of Milo (chocolate malt drink) and apologising to it for the neglect. The program does require discipline (waking up early to cook, clean, walk by food stores and not act on the impulse of wanting to tear everybody’s head off), a lot of commitments, reading, planning, and time management skills. One thing I’d like to highlight is that, it doesn’t all stop at day 30. Day 31 is not the day you go indulge in a $188 champagne international buffet. There’s the reintroduction phase that you need to plan for. Where you reintroduce food group to evaluate how you feel. I definitely have a better sense of the food group that causes my hives, what causes my bloating, and what my body has no issues with. I can now make informed choices of my dietary intake. If you are thinking of going on this program, and read till this part; You are awesome, and good on you! All the best to you, and I’d love to hear about your experience too! Hi Sharon, thanks for the great resource. I just started Whole30, and it’s useful to find a singapore site that talks about it. Oh by the way, I found out that Ryan’s sausages uses rice flour to bind the meats, so that’s not compliant. The beef sausages may not have rice flour – they have yet to get back to me on that. The others apparently all contain a small amount of it. is it same as Keto Diet? I like your blog and bookmark. thanks. Hi Ria, thanks for popping by! 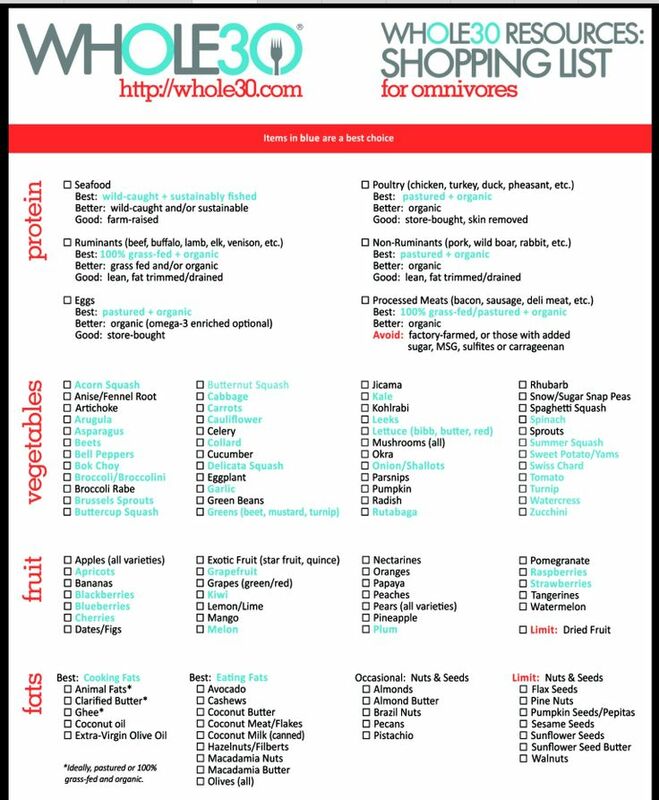 Whole 30 is essentially a paleo diet with more restrictions. Keto diet focuses on fats and reducing carbs to the minimal. Hope this is helpful. I love your blog. will try out your recipes. Will you write a book on this diet recipes please?